Are you destroying your confidential documents? The state of the art, ergonomic design of our shredders, allow for the entire contents of the sealed paper sacks (roughly 15kg of paper waste) to be placed into our shredders without the sack even having to be opened. Companies are facing increasing risks with new Data Protection Legislation, to properly manage data stored on computers or in paper filing systems. It is absolutely essential that this data is disposed of in a secure fashion. At Evergreen Office Supplies Limited we take pride in assisting companies in ensuring they stay on top of Data Protection Compliance with minimal fuss and complete peace of mind. Whether you require ongoing shredding services or a one-off job, Evergreen Office Supplies Limited can meet your requirements. 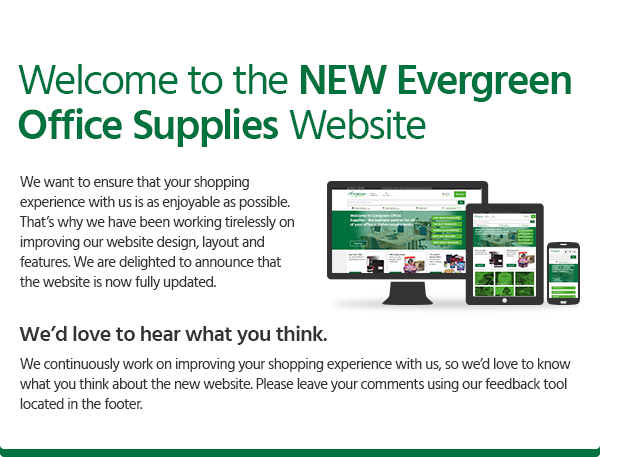 Whether on or off-site shedding, confidential waste disposal, paper, branded documents or hard drive destruction, Evergreen Office Supplies Limited can offer it all. With over 30 years of experience in the Office Supplies Industry, we work with industry leading suppliers to provide the best quality products in the shredding sector. This includes a wide range of products including bins and containers for both secure containment of confidential materials, along with collecting and storing items for recycling in the office.